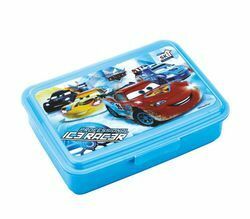 Your child has a choice and we know what they want. 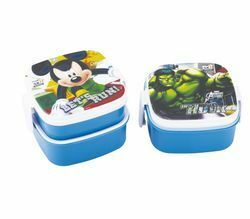 From those beautiful Princess & Barbie to rugged cars, Avengers, Spiderman, Mickey, FCB and Real Madrid we have wide range of designs to appel to your child's likings. 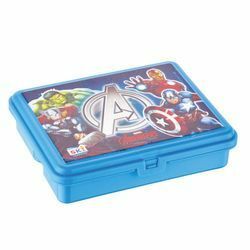 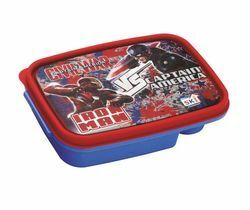 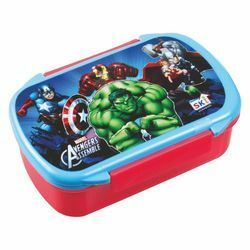 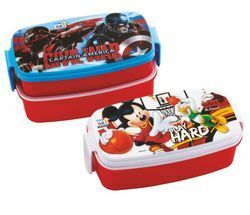 Let them have a class of items to carry to their schools and picnics. 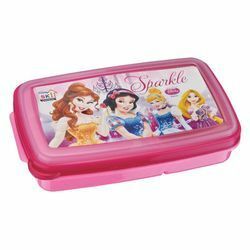 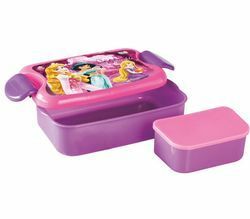 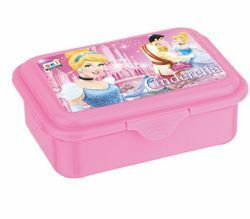 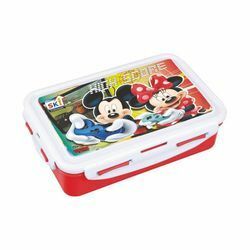 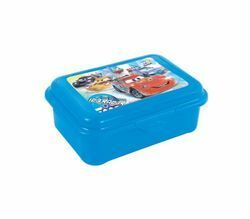 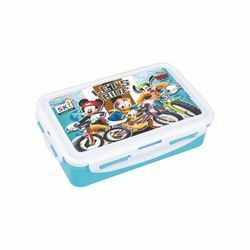 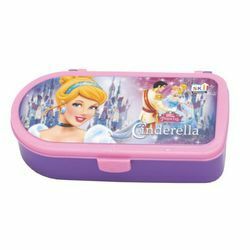 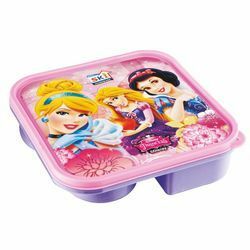 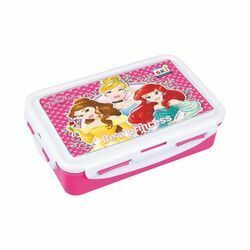 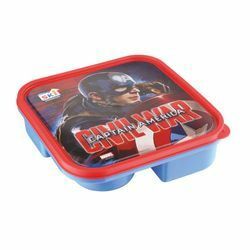 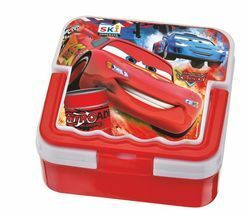 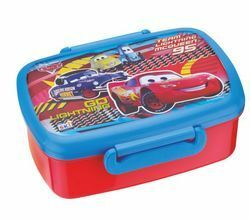 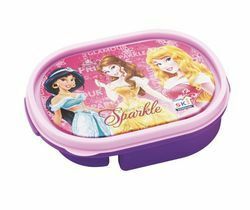 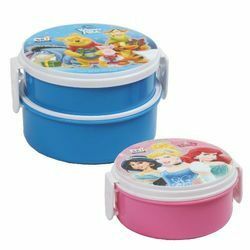 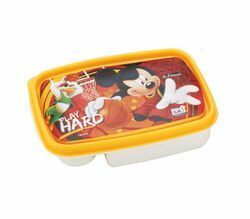 Disney Food Plaza 1200ml lunch box is lock & seal series lunch box with leakproof inner lock & seal 150ml container. 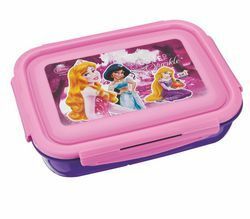 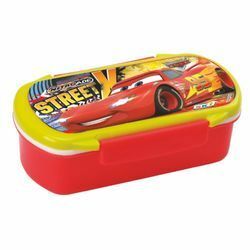 Stylish design with more compartments one for vegetable, one for curry and a special compartment for ketchup or chutney to suit your Child's proper lunch. 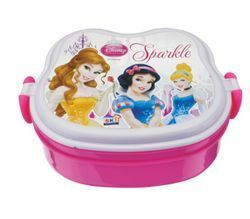 Good quality plastic which is 100% food grade Free fork and spoon inside. 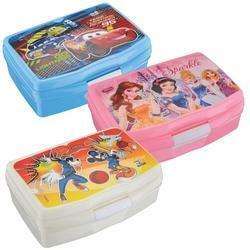 Available in many colors with attractive stickers. 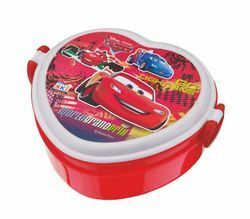 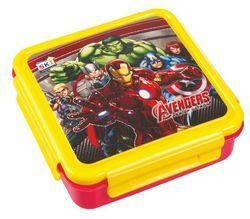 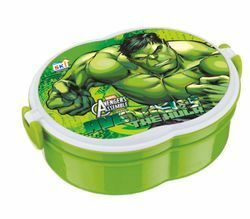 Big Bite Junior Lunch Box small version to accommodate your young ones' Snacks. 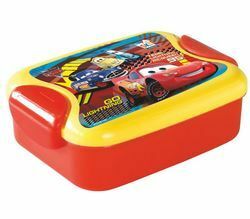 Bright colors with a complimentary fork and spoon. 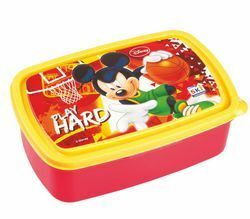 Our range of product comes in standard dimension, shape, size and volume for achieving complete satisfaction of our valued clients.